Preparation before your job interviews is key. * Preparation shows that you’re interested in the job. Over the years, I’ve had many clients tell me they were impressed by certain candidates, but they seemed disinterested. In other words, they appear to be looking for another “gig” and don’t demonstrate a true, vested interest in working for that particular company. Whether for a consulting or full-time position, employers want to know why you want to work for them! Whether it’s for six months or six years, you’re going to be a member of their team. They want to know that you’re committed to the organization’s success. Here’s another aspect you may not have thought of — your performance on the job reflects on the hiring manager. When they’re getting reviewed down the line, in order for them to earn that promotion, raise or bonus, their team needs to perform. That means you! So if you appear disinterested during job interviews, it could tip off interviewers that your performance will be lackluster. You have the right skills — don’t get passed over for this reason! * Using research in the right way is essential. Many candidates will do some research on the organization and hiring manager on LinkedIn — this is a great idea. You can change your account settings if you’re worried about being “seen,” but I often speak to hiring managers who are concerned if they don’t see that a candidate has reviewed their LinkedIn profile (it all goes back to that first bullet about interest). Taking a look at alma maters, past employers and professional organizations can be an excellent way to establish rapport and reputation with an interviewer. Even Facebook can be a great way to find out a few extra bits of information. Be careful how you use this information, though. Blurting out, “I know you like soccer,” may seem like a good idea, but it can come off as creepy and really doesn’t add to your interview at all. Don’t force it! * Take advantage of the interview process. 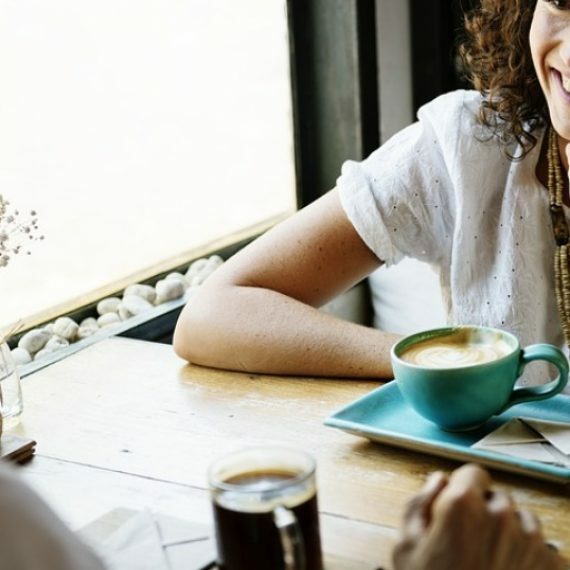 You may not want to reveal personal knowledge from your research, but understanding the interview process and how you can use it to your advantage offers a nice bonus. 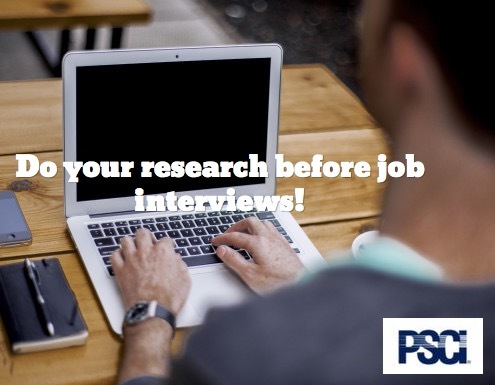 There isn’t always an opportunity to demonstrate you’ve done your research during the early stages of job interviews. But, your interview will typically end with an opportunity to ask questions. It should go without saying that you should always ask questions. This is your real chance to shine and show off the research you’ve done. Asking thoughtful questions — particularly ones that start off with, “While I was on your website, I happened to notice,” or “In the paper, I spotted an article that said.” Be prepared with at least three good business questions that start off this way — if there’s not enough time, ask your top two. Keep your questions open ended to encourage the interviewer to provide you more detail. You’ll appear keenly interested in the role and company, and you’ll also demonstrate that you’ve done your research and are enthusiastic about the position..
* Stay current on company and industry trends. This advice seems pretty basic, but it’s incredibly important. Trending news shows that you’re on top of your game and are invested in understanding the business. Look at news sources like Hoover’s, Reuter’s and similar sites of stock information, news and trends. Understand how a business has been performing and where they currently stand. Most candidates don’t do this level of preparation — you really have an opportunity to stand out here. One of my candidates recently interviewed with a company that launched an IPO in November. I spoke to her about this news and encouraged her to ask how the IPO was going, and to speak about the differences within the company going from a private to a public enterprise. These types of questions put you in another category of candidate. One that is interested in the position and the company, and one that takes initiative to understand the nuances and trends that impact the company’s success, beyond your immediate role. Here at PSCI, we take pride in helping our consultants thoroughly prepare for their interviews — ultimately, it’s their performance in interviews and on the job that leads to our client’s (and our) success. Do you have questions about preparing for IT job interviews? Looking for your next IT career opportunity? Our job board has current listings in Philadelphia, Delaware, New Jersey and beyond.